"IBM Food Trust, using blockchain technology running on the IBM Cloud, can connect growers, processors, distributors and retailers through a permissioned, permanent and shared record of food-system data that can drastically cut the time needed to trace produce from farm to store." A.I. 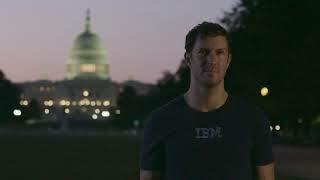 is changing the way the world works, making business faster, smarter, and more secure. 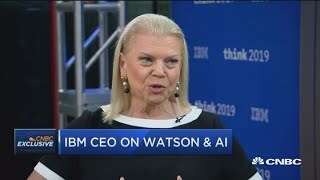 At IBM, we are helping companies put A.I. to work, at scale, giving them an unparalleled business advantage. "In 2018 we returned to full-year revenue growth, reflecting growing demand for our services and leadership solutions in hybrid cloud, AI, analytics and security"
Think 2019 is almost here! Sharpen your skills. Get hands-on experience with the latest technology. Extend your professional network into this celebrated community of technologists and thought leaders. And have some fun while you're at it. IBM has partnered with the GRAMMY's to create an interactive analysis tool with #IBMWatson technology, showcasing thousands of nominated artists, songs, and albums. Check it our for yourself: http://bitly.com/2UHzSuC. The age of Artificial Intelligence is here. Now, the White House is launching AI.gov, an online portal for people to learn about how to leverage the wide range of capabilities offered by #AI technology. "By bringing our innovations into the open and investing time, talent, and resource into open-source projects, we are not only deepening our commitment to open technology, but encouraging others to join us in building an open tech future we can all trust." 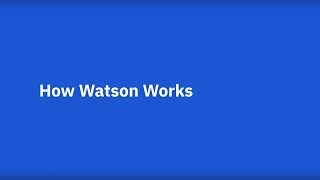 IBM has made Watson AI available across all cloud platforms. Government agencies running Amazon, Microsoft or other cloud services can now use IBM’s tech in their enterprise environment.